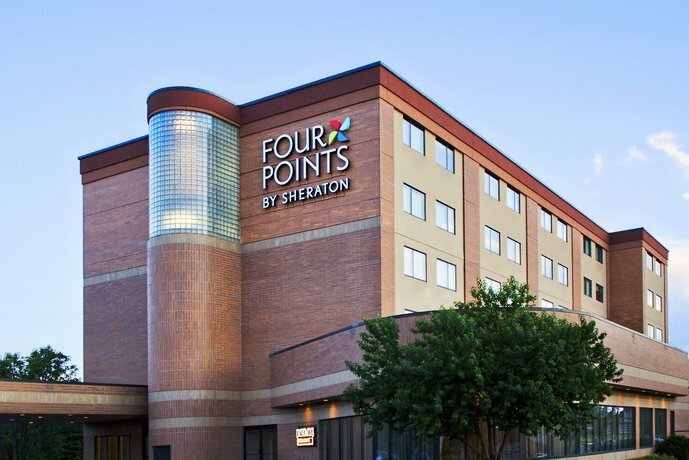 Four Points by Sheraton Winnipeg South is located in the south end of Winnipeg, just off the Trans Canada Highway (about a 1 minute drive). 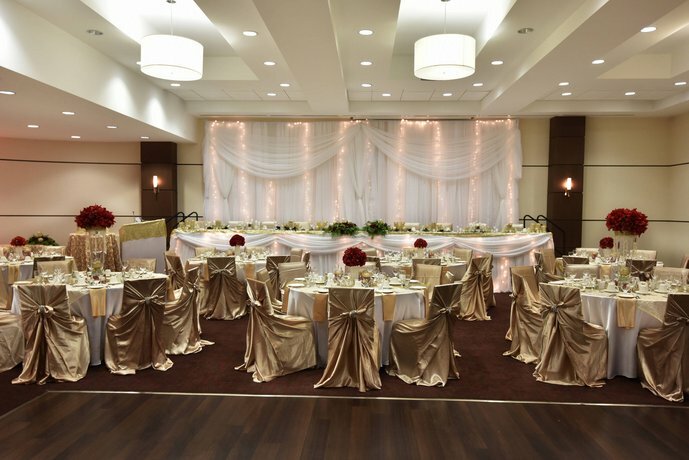 This hotel is popular with both families and couples as it is said to be a friendly and affordable place to vacation, visit with family in the Winnipeg area, or visit students of the University of Manitoba (about a 9 minute drive from the hotel). 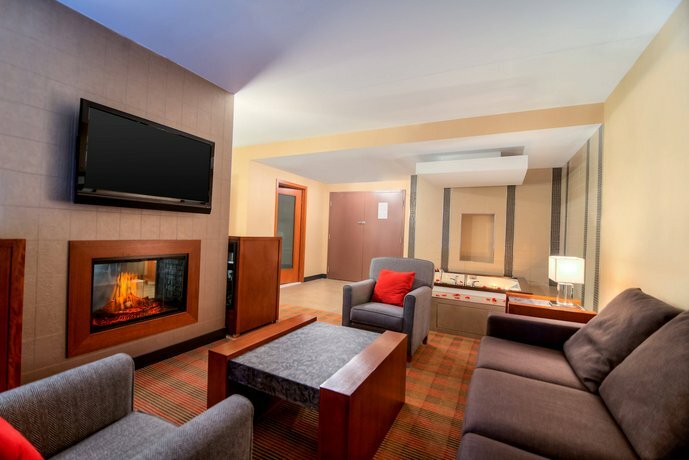 The 100% smoke-free and pet-free hotel is comprised of 5 storeys, 2 elevators and 76 guest rooms and suites with connecting rooms and accessible rooms available, plus a honeymoon suite and presidential suite (with fireplace). 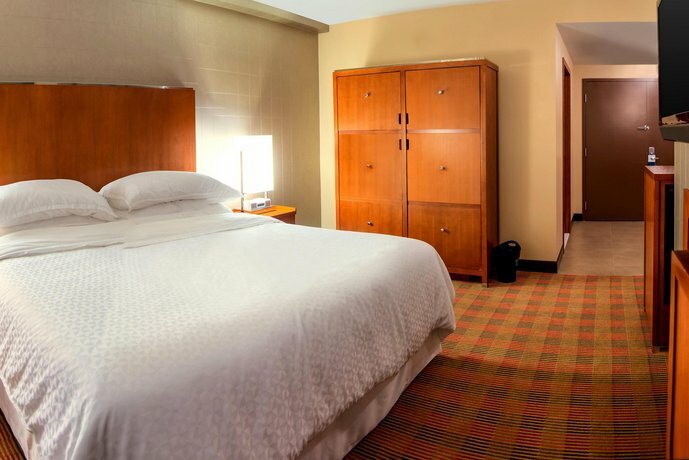 Rooms with King beds or 2 Queens (on the 2nd and 5th floors) include a complimentary mini-fridge which is available upon request, on a first-come-first-served basis. Basic rooms include: Sheraton's Comfort bed(s), 32" LCD Flat-screen television with cable channels and pay-per-view movies, work desk with ergonomic chair, Wi-Fi, air-conditioning with individual climate control, alarm clock radio, coffeemaker with complimentary coffee and tea, hair dryer, ironing board with iron, dual-line telephone with voicemail, free local calls, free cribs and rollaway cots, free bottled water, and free newspapers. 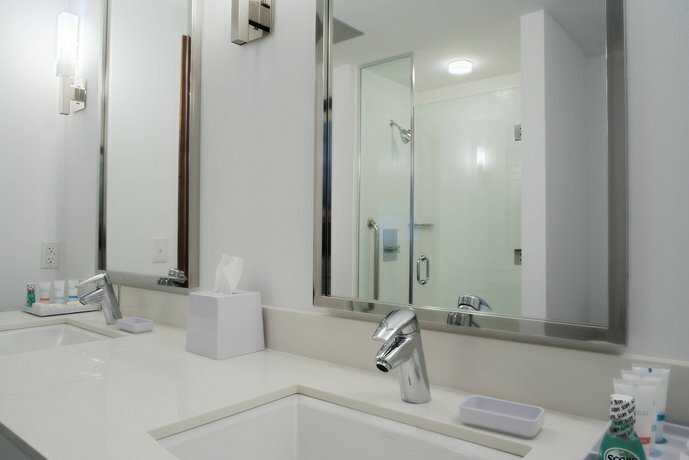 Amenities include an indoor salt-water pool, a whirlpool, a 24 hour fitness facility, a 24 hour business centre, and free self-parking. 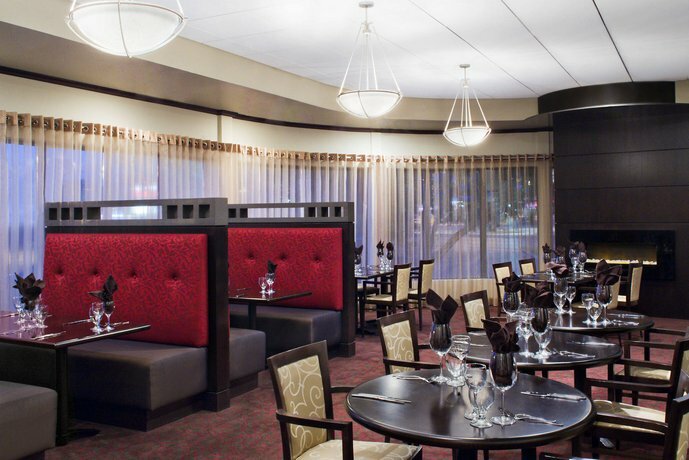 Dining options at the hotel include the Park Avenue Restaurant serving American style cuisine for breakfast, lunch and dinner; the Broadway Lounge with fireplace, the Astoria Casino Lounge and room service. Downtown Winnipeg can be reached by car in 24 minutes and guests can enjoy the restaurants and peruse the shops or take in a 3D movie at the IMAX Theatre at Portage Place Shopping Centre. Parking will cost extra downtown in the underground parkade and metre parking on the streets. 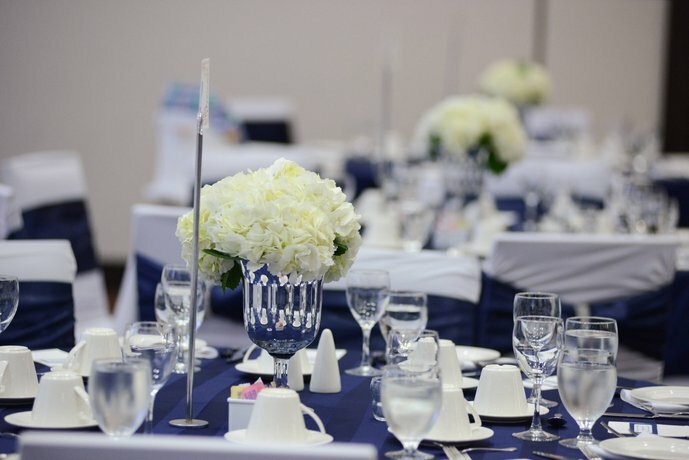 Closer shopping and dining options are available at the St. Vital Shopping Centre which is a 12 minute drive away and where the parking is ample and free in the mall's outdoor parking lot. Kingswood Golf and Country Club, for a round of golf or dinner at the club house, is also nearby to the hotel and should only take 14 minutes by car. 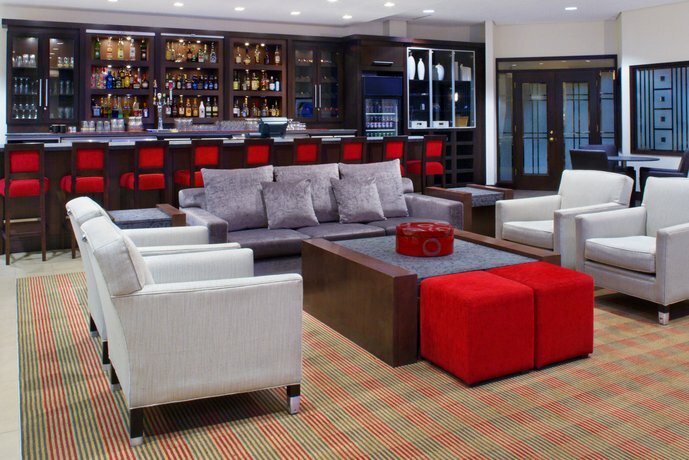 The hotel is about a 31 minute drive to the airport for those traveling by air. 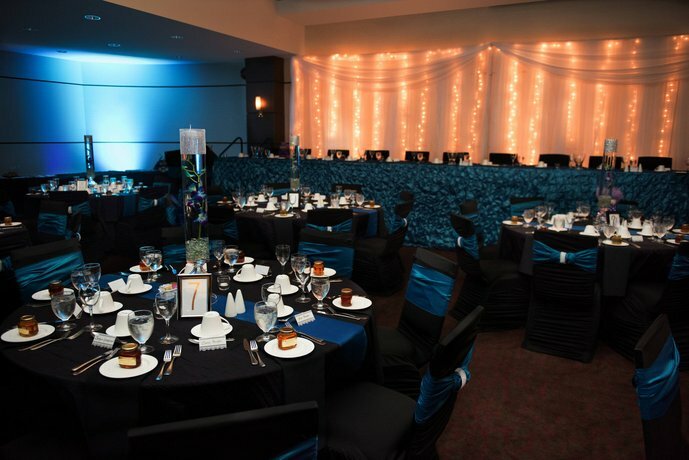 Four Points by Sheraton Winnipeg South pleased the great majority of its guests who volunteered many heartfelt compliments online in guest reviews recently and sourced for this analysis. The staff were considered to be extremely nice and very helpful. They were said to give above and beyond customer service. 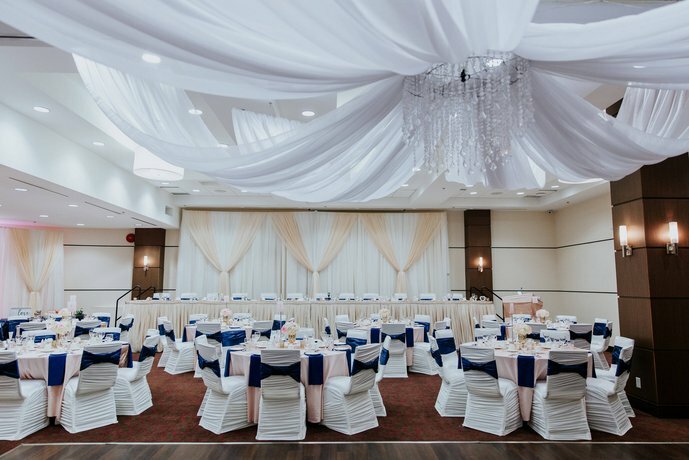 Many guests enjoyed the location of this hotel saying it was convenient to nearby restaurants, the University of Manitoba, the Perimeter highway (provides quick access to the city) and many retail outlets. It was also considered to be a safe neighbourhood (being away from the downtown core). 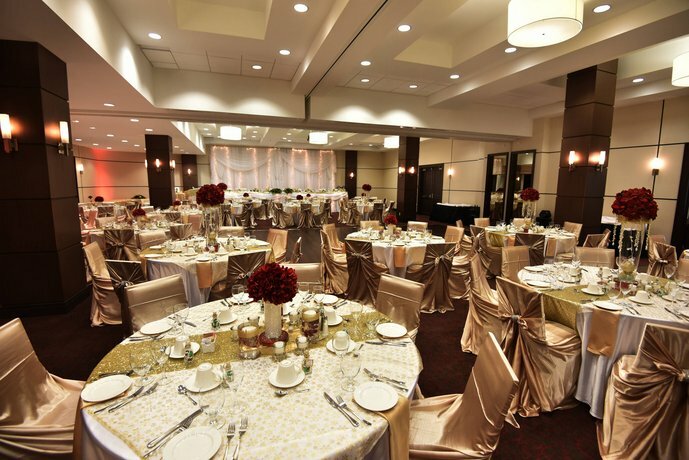 The hotel's modern decor, cleanliness and comfort of the beds were appreciated by several guests. 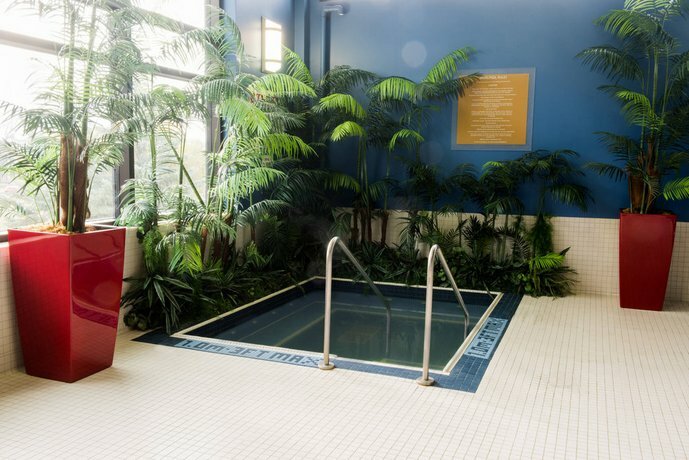 The pool atmosphere was said to be pleasant for entertaining, relaxing and great for children while the hot tub was described as wonderfully toasty. 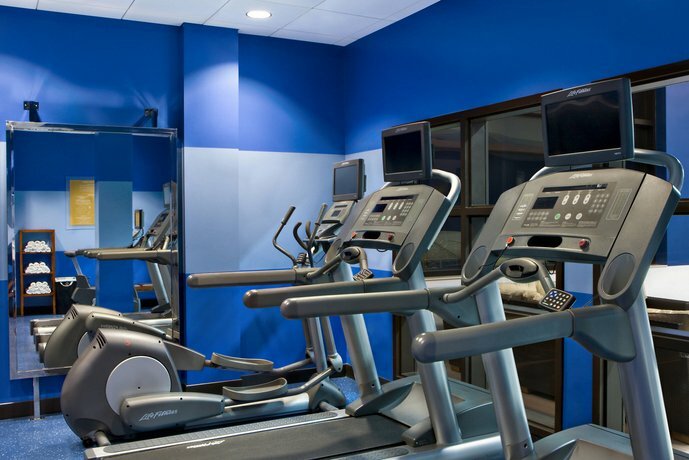 The Fitness Centre was also well-reviewed with guests saying that it had nice equipment. 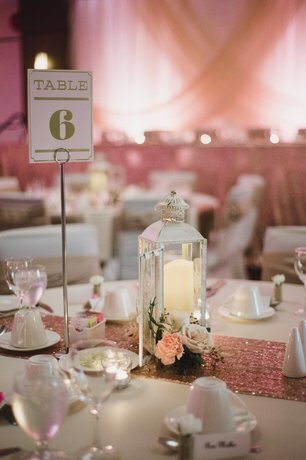 The on-site restaurant and lounges offered great food and service according to many reviews used in this analysis. 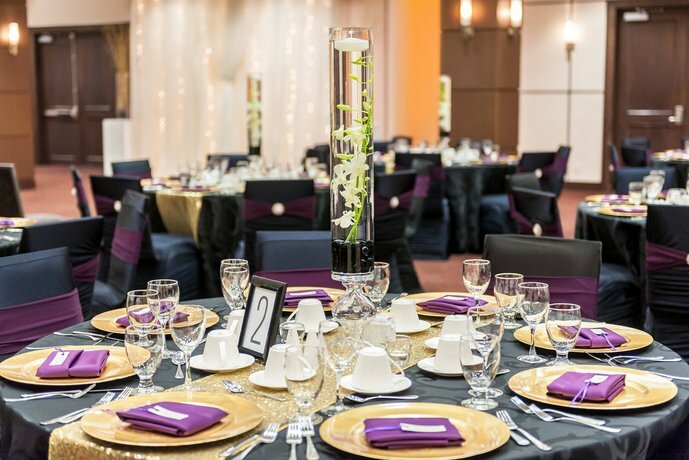 Several guests stated that the hotel offered great value. The free parking was also highly appreciated by many guest reviewers. Of those guests who commented on the Wi-Fi, many said it was quick and worked well. The hotel was highly recommended by the great majority of guest reviewers used for this analysis, and many said they would stay there again. As is often the case, the hotel received some critique as well. A couple of guests thought the pool was small and one said not deep enough. Other negative comments, seemingly isolated and only voiced by single reviewers, included: restaurant food being too expensive for what was served and complimentary mini-fridges were all checked out and unavailable. 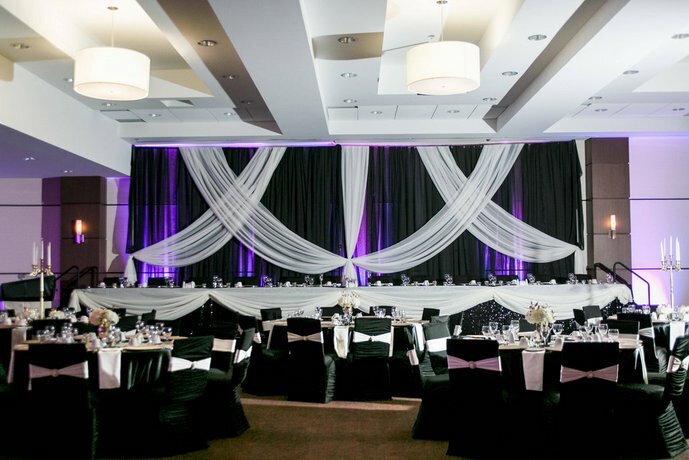 TripAdvisor.com ranked the hotel 5th out of 57 properties in Winnipeg. Guest ratings averaged 4 points out of 5 from 59 reviews. Expedia.ca guest ratings averaged 4.3 points out of 5 from 3 reviews. Hotels.com guest ratings averaged 4.3 points out of 5 from 87 reviews. 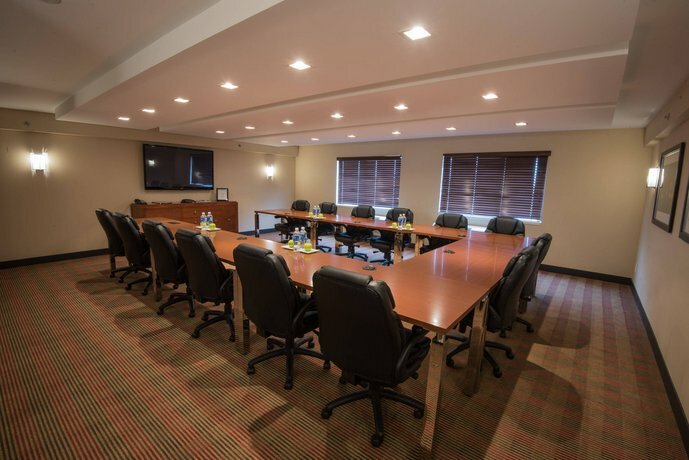 The average guest rating for Four Points by Sheraton Winnipeg South is 8.4 out of 10 based on 1183 reviews from past guests. 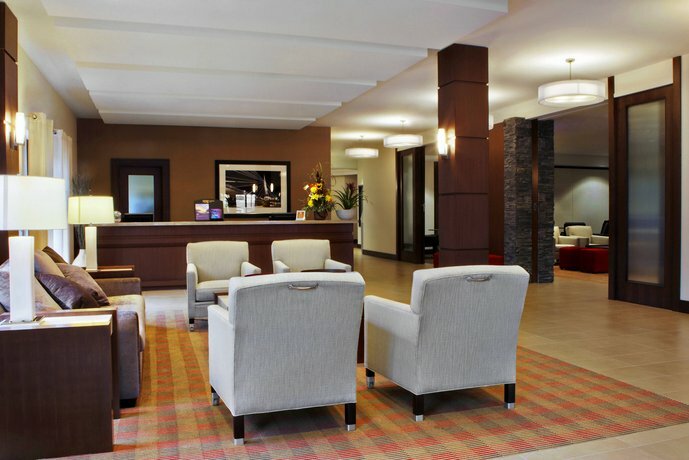 This average guest rating ranks Four Points by Sheraton Winnipeg South at #16 out of 43 hotels in Winnipeg.